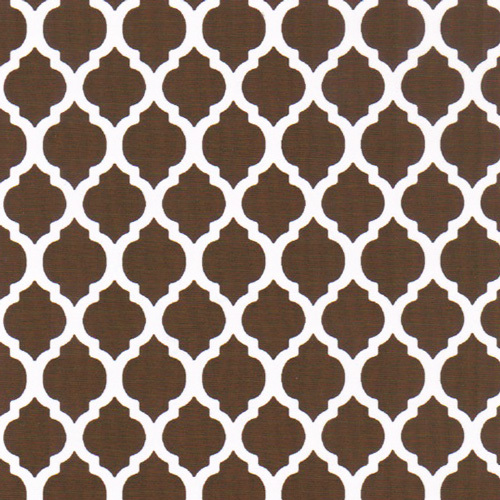 Brown quatrefoil fabric.100% cotton print. 60″ fabric width. The quatrefoil seen here is 5/8″ tall and 1/2″ wide across the center. We have a wide array of other size quatrefoils, found here. Wholesale customers must log in to your account to view pricing and place fabric order.